Mercator handles car shipping across the globe on a regular basis. Our car import service into the UK includes any aspect as required, for example if you need a car shipped from door in South Africa to the local sea freight port, sea freight service from Durban to the port in the UK, UK customs clearance, and delivery to your door in the UK, we can handle everything. Likewise if you just need clearance and delivery of your shipped car in the UK, we can arrange that for you. 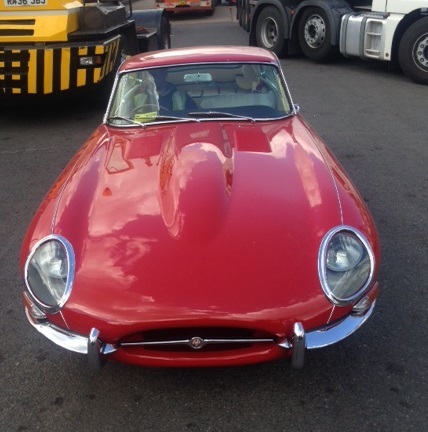 We were recently tasked with shipping the classic car pictured above from Australia to the UK for a customer who was relocating and wanted to take their car with them. For this particular vehicle, we arranged the shipping in a container as the car was high worth. Our agent in Australia arranged the strapping and safe loading of the car into the container, and our warehouse in the UK unloaded and inspected the car upon customs clearance in the UK. Other options for high worth car shipping includes arranging air freight – this is obviously more expensive and faster than shipping a car via sea freight. For cars which are in running order, RORO (roll on roll off) might be your preferred option – this is where the car is driven on and off the shipping vessel, rather than loaded into a shipping container. If the vehicle to be shipped is not in running order then the only option is to load it in to a container for transit. We also offer an export car shipping service to most countries worldwide. sales@mercatorcargo.co.uk or call us on +44 2392 756 575.